How to Boost Traffic to your Blog by using Pinterest! The first step as with anything you do online is to make sure you have access to the most extensive analytics possible. Signing up to have a Pinterest business account will open the doors to having ample analytics to ensure you are measuring the reach of your adjustments to boost your blog using Pinterest. Using the code after your image code will allow you to insert more than one pinnable image per blog post. This will showcase more than one image when a person clicks the “save” or “pin” button located in your blog post. Having more than one pinnable image option will help drive more traffic because it gives users new images to appeal to their visual senses to compel them to click through to your blog post content. When you pin an image to Pinterest you can insert a description. The best way to force a visitor from your blog post to input the proper description is to use the “alt text” option within your blog dashboard when uploading an image. Be sure to include an enticing description within the “alt text” area of every image you insert into the blog post that is meant to be pinnable. This will ensure you are using proper SEO to boost that traffic to your blog using Pinterest. Lastly, you will want to analyze the data from Pinterest analytics to figure out what time of day your target audience seems to use Pinterest. There are other websites you can search out that will help guide you through which niche market’s target audience is on Pinterest and when. This data will help you to schedule your Pins using a service like Tailwind or CoSchedule to reach your target audience when they are actually online. These are simple, easy to follow tips that should help you start getting more traffic to your blog via Pinterest in no time. Be sure to remain dedicated and motivated to use these tips I shared today on a regular basis. Pinterest is a HUGE weapon in any blogger’s arsenal if they really leverage it. We live in a fast-paced world that is highly visual. You can make that work for you with Pinterest. I love that there are some awesome tools to help the blogging world out. Even better is when the tools are free. Pinterest is one of the best! I feel Pinterest is an invaluable tool, if done correctly. Your post was very informative, and heck, I found some of the things you mentioned that I’m NOT doing! I am definitely going to try this. Pinterest is amazing for a lot of things. Thanks for the tips. Super helpful suggestions! I had no idea you could pin more than one image per post. That is awesome. I believe determining the right time to put out a new pin is important. It increases the chances of your blog being visited. Thanks for these tips. I really have to level up my Pinterest game. I have read about Pinterest strategies but most were confusing. I love how you wrote this article. It is straightforward and easy to understand. I will try your tips and see how this helps my blog. Pinterest is my #1 source of traffic. If used properly, it can be a bloggers bff. These are really good tips to make the most out of using it to generate blog traffic! So many bloggers get their traffic through Pinterest and it’s such a great outlet for it. I agree that putting well-worded descriptions is a great way to gain traction to your pins! So many important tips! I’d have to say that I haven’t fully explored pinterest and maximized using it. I think it’s about time that I focused on growing it as well. Oo I’m keeping this post in mind. I’m not the best at Pinterest, but I’m trying to get better. I try to always have pinnable images. I don’t have a business account yet. Pinterest is my number one source of traffic on my food blog. I don’t use hidden images and I still have all of the images pop up in my post when someone goes to pin something. Pinterest certainly brings in tons of traffic. Seems like they are always changing things. Good to stay on top and learn how to better use pinterest to help. I try to remember to use Pinterest as often as I can! Pinterest traffic can be amazing, so I really should utilize it more. I need to be better about using Pinterest for traffic. Thanks for the tips, I’ll have to devote some time to this so I can increase my traffic. This is some really great thinking. Pinterest is where the money is made! Hands up I haven’t got to grips with Pinterest completely yet! I definitely need to work on it more. I was trialling TailWind which seemed interesting. I need to boost mine. Thanks for the tips. Im going to try them. Yes a business account is helpful. I get so many analytics and stats through my business account that help me finetune my strategy. These are all great tips! I have a home decor blog so utilize Pinterest a ton and it gives me a steady stream of traffic. All of these are things I have used to build up my blog. Pinterest is something I haven’t fully explored or maximized! I really should especially since I hear how much it’s a good source of traffic. I SO appreciate all your tips. Nice tips for harnessing the power of Pinterest. Pinterest does generate good traffic and we found that out after focussing more on it. 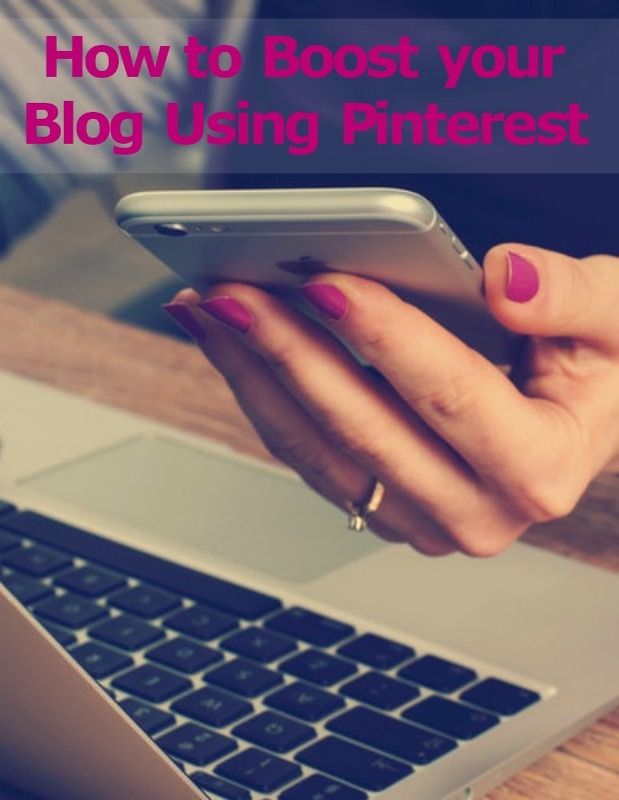 I have never really use Pinterest to boost my blog but this is very helpful. I usually just use Pinterest for ideas but you shed a new light to it. I just recently really started paying attention to pinterest for my blog and I have been missing out! There is a lot of positives and I’ve seen my traffic pick up. I really need to step up my Pinterest game. Right now it’s like throwing a dart while blindfolded. I’m really proud that I get more traffic from organic searches than Pinterest BUT that means I’m also not using Pinterest correctly. I really need to get better. These are some really great tips. Do you know, I’ve never used the hidden image trick? I really need to try that one. I love Pinterest. I think it helps if there’s text with one image that says what the post is about.